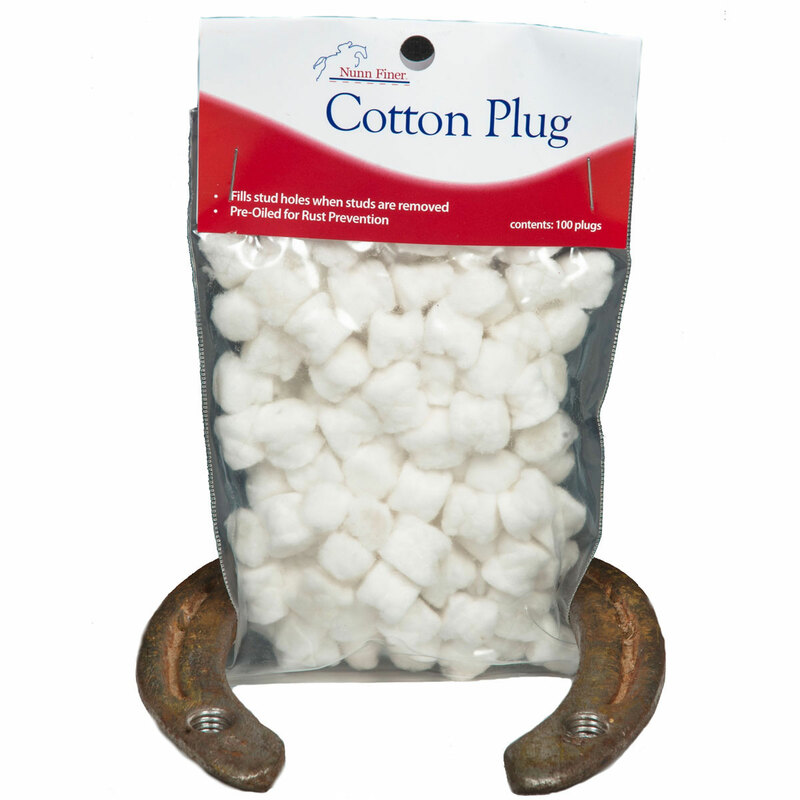 Nunn Finer Cotton plugs are perfect to fill stud holes when studs are removed. They are lubricated with non-toxic rust preventative. 100% knitted cotton. Nunn Finer Cotton Plugs is rated 4.5 out of 5 by 2. Rated 5 out of 5 by ccr0009 from Must have These are a must-have in you stud box. I don't have time to dig out every hole, and with these plugs I can easily pop them out and put in my studs quickly. Rated 4 out of 5 by Kentucky Scout from Works great and is so handy! I am new to using studs and was not sure which type plugs would be best; so I decided to experiment with different types. I was very leary that the cotton ones would stay in place in muddy conditions so I started with the set screws which work great but are tedious to put in and take out. Next I tried the cotton plugs and am amazed at how well they work. They are super easy to put in and I have left them in up to 5 days (in muddy conditions) and they were still in tact; I could have left them in longer (although I recommend changing them out sooner just to make sure the holes stay oiled). Having these little plugs pre-oiled is a plus. I have not tried the rubber plugs as I am sold on the cotton plugs. The only reason I did not give this product a 5 star is the price. They are a bit expensive if you are using studs often and therefore changing the the plugs out each time.